RESET just hit. Again. It’s been crazy – the day before yesterday I had to be coherent for over an hour in a meeting with the H/AC people – a sudden crisis because of an uh-oh! noise coming from the compressor/condenser/whatever they call the external unit, noticed by hubby when mowing the lawn. Needless to say, I don’t do well without AC – my brain is as fragile as the chinchilla’s, and as useless when overheated. And yesterday was the expected day from hell: with a whole bunch of incentives, all vanishing as the summer progresses, we bit the bullet and ordered the new system to be installed – immediately. Which meant they were here before 8AM on one of the hottest days of the year. Did anything go wrong? Do we have AC? They left by 2:30 – pretty amazing. It all works. We had a cool house by 3PM. 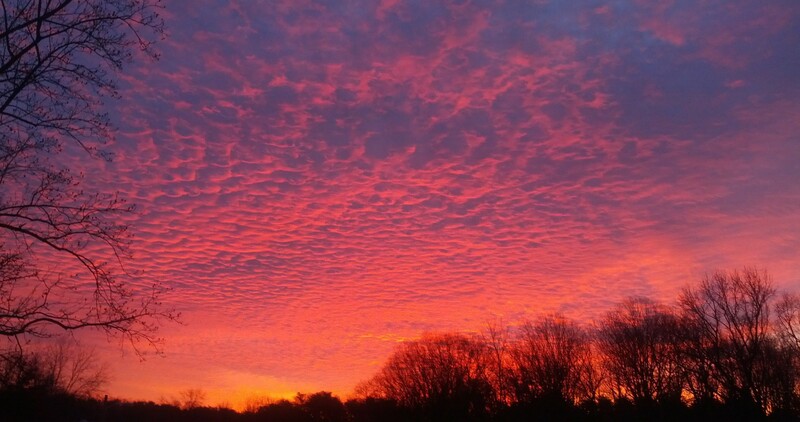 Also amazing. Gizzy and daughter each had their room AC to keep them cool while they slept, sort of, as the gentlemen from A.J. Perri SLAMMED the door each time, about a thousand, they came in and out of the house. The whole house vibrates when you do that, and the sound is like having a two-ton piano dropped on the sidewalk behind you. I imagine, never having actually been present when they did it. Note: when daughter or I leave the house, you can’t tell the door was closed, because we just close it. Yesterday, all day after they left, I was completely fried and frazzled. Got almost nothing done except feeding myself. I couldn’t even get to sleep until 5AM. Naps and counted breaths and all my stretching yoga tricks – nope. Resisting carbs – nope. It is quite comical as I watch myself completely out of control – once I can watch myself. Which took until about a half hour ago. So I just read my own post – this is why I write these things – and will continue the reset process with 1) starting to wake up daughter with sleep disorder, and 2) nap. Again. Until the process works, I’m back where I need to be, and I can function again. Which, if this comment is reasonably coherent, shows I’m starting to get to. I’ve been doing this for years, folks – and I still have to drag my brain out of the deep well it goes to hide – with the slightest provocation. On and on for hours – and not stopping until we make the best decision we can – at which point the consequences will start. What I am finding is that the cycle is shorter now. I KNEW I had written a post on having a functioning RESET process (as a writer, but that’s basically my life, so really everything). I read it with the beginning of the returning threads of whatever it is that happens in there (and which I wish would happen MUCH closer to the actual crisis, but I also wish to be 30 years younger and have a metabolism like a teenage boy (the skinny ones – I already have the other kind). This is the fastest I’ve processed. Maybe I’ll learn – IF there is time (there wasn’t) – to set up the RESET process BEFORE it is needed. There’s a thought. For when I have some extra energy. Push the button, folks. The warnings sirens – like the ones the installers of our AC set off during the process of installing, I believe, a new CO2 detector – will stop eventually. Do you know when to push your RESET button? This entry was posted in Brain training, CFS - living and writing with ME/CFS/CFIDS, This writer's life and tagged brain fog, CFS, disaster, Hard choices, ME/CFS, self-improvement, writer behavior mod on July 8, 2016 by Alicia Butcher Ehrhardt. CHOOSE YOUR GOAL: HOW SHOULD YOUR READERS SEE YOU? This is a toughie, because we would prefer to be attractive naturally (‘attractive’ here meaning strictly to find more readers who will like your writing), and then any picture would do. So you have to instead suss out what those readers expect to see, and trust to produce the kind of writing they like to read. You can go with mysterious, and skip all forms of visual presence. Your choice. Which will be destroyed if you ever get interviewed, do a book signing, go to a convention – and someone takes a photo of the ‘mysterious author’ and makes it public. “But,” you say, “I never go out in public.” Like me. Okay, not never, just rarely. Maybe then it’s even MORE important to have a photo you like be your representative out in the world. If you don’t look like the stereotype, can you modify yourself to look like the stereotype? No. Can you modify your PHOTO to look like the stereotype? Yes. 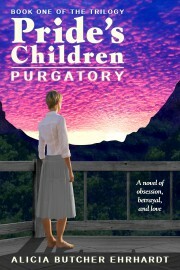 Pride’s Children: PURGATORY is a mainstream contemporary literary love story. The author of such doesn’t have to be as pretty as the author of a Romance (who should at least look a bit like her (usually young and beautiful) heroine). She should be smiling. Love, after all, makes us happy. But not grinning. She should NOT look like a business person, yet she should look competent. She will be your guide on an adventure. She should be slightly soft, rather than hard. She should not look deeply worried. She should definitely not look realistic, warts and all. She should be dressed in something that does NOT signal Romance or Romance writer (think of Meryl Streep in She-Devil with Rosanne Barr – go look; I’ll wait). Nor should she dress like Roseanne Barr on that poster (which is a parody of the Romance-reading suburban housewife). Roseanne Barr is a beautiful woman, and so is Kathy Bates, but they have made a career out of allowing themselves to be portrayed as ugly or frumpy – I’ve been startled by how well they clean up! How does this translate to what I hope to aim for in the Author Photo? Plan to ‘airbrush’ or ‘retouch’ the heck out of anything I choose. This is not the time to be starkly realistic. Plan to pick a background to enhance the person; here’s the Kristin Hannah photo on Amazon – if I looked like her… but older? A really good makeup session, and a really good photographer would do that for me. The choice of clothing and the background combination bring out her eyes beautifully. A forward-facing but slightly un-centered and three-quarter body position is better than one squarely facing the camera, like a mug shot or a photo for a job application. Look directly at the reader. Readers need to be able to trust the writer of an improbable tale. No plastic hair for this – enough said? Soft, flowing, but tidy, a frame for the face. This part is me: no bangs/fringe. Not too much hair obscuring the face. No hint of hiding. It’s the same reason I licensed the photo for the cover that I chose: I could not find another that had the right ‘expression’ as a whole – and that one worked for me, though in that case the face is not visible – it’s the whole body and body position that expresses the longing. Okay now – skillset? Acquire or farm out? I thought about going to fiverr for the retouching after I picked out a photo with a suitable expression. There are a lot of people there who will retouch for a very reasonable fee, and the portfolios I saw were impressive. Maybe I’ll go there later, if Richard Avedon still doesn’t live in Hamilton, NJ. For me, it’s always the balance between how much energy it takes to set up and work with another person, usually a healthy, energetic person. But more importantly, people with their own ideas and opinions, whom you hire because of those, are not going to get exactly what you want without a good deal of back and forth over a suitable period of time. And it would take a lot of time to vet the portfolios, and go through the whole process with several people. I might be surprised and pleased – the same way I might be surprised and pleased with some of our local photographers – but I don’t have a history of success in that department. Maybe I’ll just send the picture I choose, pay three or four people, tell them ‘glamorous,’ and see what comes back. Still sounds like a lot of work. I don’t have a friend who just had a gorgeous head shot taken. I don’t live near my sisters, or their hairdressers. Pixelmator and Youtube to the rescue! With the caveat that the best way to get a great picture by retouching is to start with a very good picture that is almost what you want, but needs a little enhancing and cleanup – and I lack said good picture – I located online, free, available any time (my kind of energy saving), a series of videos giving me exactly the tools and instruction I need, and which I am learning, taking notes on, and starting to follow. As usual, I talk/write too much, so I’m going to cut the ‘goal’ post off here, and write the rest as I try to achieve my goal: to look like me as you should see me, not as the cold harsh light of day does. Your place to dump the insecurities that make this dreaded – from the Author Bio post comments, I assume many other authors (and normal people) have the same problem, or I wouldn’t be posting this! *PWC: Person with CFS (chronic fatigue syndrome). Also, thanks to Stencil for the free account I’m using to do the images at the beginnings of my posts. They have paid accounts if you need more than an occasional image. This entry was posted in Brain training, CFS - living and writing with ME/CFS/CFIDS, Epublishing, This writer's life and tagged blog construction, brain fog, CFS, contract with reader, fears, ME/CFS, the creative process, writer behavior mod on July 1, 2016 by Alicia Butcher Ehrhardt. YOUR CHANCE TO CONTROL HOW THE WORLD SEES YOU. LITERALLY. After having just interacted online about the dreaded Author Bio, and navigated that to a conclusion (satisfactory or not), I continue on my mission: to have every useful feature that connects me to potential readers for my fiction neatly and professionally (in the DIY sense) filled out. I COULD go out and find a photographer, get the professional headshot created, and post that. In fact, that’s on my To Do list. Has been for YEARS. NOT very near the top. If I ever become famous, have some extra time to waste, or decide I absolutely must, well, there are photographers in Hamilton, NJ. Every once in a while I look them up online. Richard Avedon is NOT in Hamilton, NJ. I want to return to writing – and I’ve seen so many headshots that I positively hate, and few that I don’t – so, in my ‘fools rush in’ usual manner, I’m trying to make do with no help from anyone. Because I can count on me, and my tools, and everyone else seems elusive and slippery. I have a nice little camera, courtesy of husband a few birthdays ago. It has lots of megapixels. It is the source of the snapshot that is the current photo of me in most places online. I’ll put it here, because the whole point is that it’s about to change. It has, of course, been edited. Taken in New Orleans on a family vacation a couple of years back, it is cunningly calculated to fool all automatic editing by the cunning collection of windows and other architectural features from the cathedral I was standing in front of when someone caught a snap of the least objectionable expression on my face of the whole vacation. That I, like many women (including models), don’t like the way I look in photographs. There are PLENTY of photographs of me. I come from a photogenic family – any picture of my sisters will show you how beautiful, polished, smiley, and always impeccably dressed and made up and coiffed (even on the golf course) my sisters are. Mother’s cheekbones are still impressive and lovely, and she just turned 93. She is ALSO kept beautifully coiffed by her lovely helpers. But I rarely measure up. The CFS means the energy it takes – and it is considerable, ask my sisters – is not available. I throw myself together the best and quickest I can (cleanliness IS next to godliness, if not before it – I manage that often), with no thought for style. This little detail is a very large part of why ‘Have professional headshot taken’ is so low on the priority list, BTW. Besides the four months of doing nothing but dieting required, I would have to get hairstyling and makeupping and fashion updates which are out of my energy budget from the sheer amount of time they would take, not to even mention the energy. So the solution comes from…? Why wretched? Because it turns out the resolution is absolutely crappy, and there is no way to change it! The resolution settings for the camera – which sends much better quality pictures of me to Skype and such (so I know it can) – have NO way to be accessed ON the computer. But it has the ONE advantage I need: I can see what I look like as I take a picture. Or rather, what I THINK I look like. So I can manipulate the heck out of that. One day within the past year, I went to church, where I sing in a tiny choir. As I try to do, I was tidy, had a tiny bit of makeup on (okay, eyeliner – it makes my pale lashes stand out a little; possibly lip gloss – easy compared to lipstick), my favorite purple shirt, and my hair was as clean and soft as it gets with my limited haircutting and maintenance routine (yes, I cut it myself when it drives me crazy; very fast compared to that energy-sucking salon trip which normal people use). So, basically, I looked as good as it gets nowadays (don’t expect that much). For an unknown reason, I had a bit more energy than usual when I got home from church (maybe daughter drove), I sat at my computer, and it hit me: take some quick snapshots – and we’ll process them later and see if we can kick this headshot thing up the next step. I took my glasses off to avoid reflections. Besides, I don’t usually wear them EXCEPT at the computer, so you wouldn’t expect to see me in glasses. I quickly took about 20 photos with Photo Booth – and the day’s extra energy was used up. When I looked at them a few days later, I discovered that Apple, which usually does much better for me, had chosen the low resolution photo as the output of this app which comes with the computer AND there is no way to change that! Aargh! After blowing my energy wad, I had 20 low resolution photos of me at all kinds of coy angles, every one of which would go straight to the garbage if I had my druthers, and not one of them was suitable as taken because of the background, the coloring, and the subject. But I’m nothing if not game, and I will be using one of these photos (I might even dare post beginning and after versions) as the source of the dreaded Author Photo, which, unless you are beautiful may actually be better a little fuzzy. Okay – a lot. LAST KINDLE COUNTDOWN DAY US AND UK! If you like my prose, consider purchasing my fiction. It’s written by the same person. This entry was posted in Brain training, CFS - living and writing with ME/CFS/CFIDS, Epublishing, This writer's life and tagged blog construction, brain fog, CFS, contract with reader, fears, ME/CFS, the creative process, writer behavior mod on June 30, 2016 by Alicia Butcher Ehrhardt. I don’t know how it is in traditional publishing, whether authors are now required to write their own bio in third person and send it in, along with a ‘professionally edited’ manuscript they’ve paid to have edited, but the big attraction was always that someone would interview you, tell you you were being way too modest, extract all kinds of interesting bits from you (thus allowing you to remain officially modest), and write something up that made you sound much more interesting that you are. Until you could replace the whole thing with the fact that you are now famous and a list of your accomplishments as long as, well, whatever. Once OTHER people have conferred interesting-ness on you, you can act modest and even bashful, and still wow consumers into buying whatever it is you produce. In these days when indies have dumped gatekeeping and vetting from outside, and have learned to speak of their own work in public, and say that it’s good and persuade you to read it – the other part, writing your own ad copy, is also hard – we now find ourselves in exactly the position our parents would not want us to be in: praising ourselves. The resulting bios, from absent (coward or busy or not realizing you need to have one) to whimsical to dry to boastful, have been instructive. And the samples online, ‘How to write your author bio,’ have been equally ludicrous. You are allowed, nay, expected, to be whimsical on the About page of your own blog. Mine is a mixture of things about me which might appeal to someone – but they are just a random bunch of facts and factoids, things which are individually true or illustrative. Many of the people who read your About page become online friends. But the Author Bio on your books’ site – and the Author page on Amazon or your Goodreads Author Profile – is a different beast. It is for strangers. It is supposed to represent you as a SERIOUS WRITER. It is something which could be on the back flap of your hardcover traditionally-published FICTION, written by that (possibly fictitious) publicist/copywriter. I can’t tell you how long it’s been on the list, because I thought I had done it, so AT LEAST since October 2015, and probably longer, this task. I have To Do lists with ‘check Author Bio’ on them, as you’re supposed to revisit your Amazon Author Page periodically and tweak it. I have resisted that tweaking mightily for a very good reason: I’m afraid if I touch ANYTHING on the materials submitted when I posted ebook and print versions, it will lead Amazon to review my materials – and possibly decide I’ve done something wrong and cause all manner of delays in getting it back up. I didn’t ask anyone about that fear, because it is my experience that fear doesn’t survive information, and I DIDN’T WANT TO DO IT. But I have this ad campaign coming up, and a To Do list specifically to be ready for it, and so many things causing me angst on it, that I decided this is it, the ‘write Author Bio’ was THE next task, and that I would not go on to another task on that To Do list until it was done, because bouncing around from item to item is getting me nowhere but even more confused. The current method – stick with one item until it’s done or the ad is past and there’s nothing you can do about it – started on June 16, 2016. A usable (up for comments, so feel free) one was produced today by yours truly. 332 words for the long version, and a shortie of 72 words. If you’ve gone through the process, you know. If not, I don’t think I can make you feel the pain sufficiently. I have been facing this, putting it front and center as other things had to be dealt with, not moving on to the many other things I need to do (a handwritten list of twenty items, many with subparts), for SEVEN DAYS. It’s been so bad that I started writing a new book – titled PAPER BRAIN for now – about how to use a damaged brain and still manage to GET SOMETHING DONE. Waiting for ‘good time’ not required if even half-functional. I kept throwing every bit of time – good, semi-good, and non-functional at the task – and getting nowhere. Brain fog rampant. Inability to make decisions foremost. Whole worldview exposed. In desperation at all the flopping about, lack of decision-making capability, and sheer angst, I found the right question. I couldn’t write my Author Bio. Why? Because of all the stuff I started this post with. How about writing the bio I WISH I had? As if I WERE someone else. As if life had gone the way I planned it to, more or less. As if all those details had happened. I am ashamed of being who I am instead of who I always planned to be, and have been hoping to go back to. So someone could write a bio about me and put it on the books I always planned to write. I finally realized it has never been up to me, not the final outcome: life is what happens while you’re making other plans. Alicia Butcher Ehrhardt is a former researcher and computational physicist at the Princeton Plasma Physics Laboratory and the Johns Hopkins U. Applied Physics Laboratory. She holds a BS in physics from Seattle U., and an MS and PhD in Nuclear Engineering from the U. Wisconsin-Madison. A minor problem with her right eye kept her from fulfilling her ambition as an astronaut. A voracious reader since beginning to read at three, she had always intended to write fiction, and, now retired, dedicates her whole life – when not spending time with her husband, family, and chinchilla – to exploring the concepts of integrity in relationships, and the psychological questions of why people do what they do and make the choices they make, including their life partners. A homeschooler by accident when illness derailed her working life’s plan, her life-long dedication to the sciences aided in the development of three STEM children with a love of language. She has dedicated the past twenty some years to learning to write to the standards of the early classics she was steeped in, as she believes that messages in fiction must be surrounded by the utmost in quality entertainment, and that fiction is the most powerful tool we have to slipping through the barriers we put up around our hearts and our minds. As a writer, she’s published traditionally in short story. She’s been featured on Wattpad, where her story Too Late has received 63.7K reads, and where her debut novel Pride’s Children: PURGATORY was serialized and currently has 19.7K reads. When she’s not writing, you can find her enjoying the hummingbirds in her garden of perennials designed for them, or singing. She is hard at work on the next novel in the Pride’s Children trilogy, working title NETHERWORLD, scheduled for publication later this year. Follow her on Amazon or at prideschildren.wordpress.com to be informed when her next story is available. Discover more about her opinionated opinions and quirky writing methods on her writing blog, at liebjabberings.wordpress.com. Alicia Butcher Ehrhardt is a former researcher and computational physicist at the Princeton Plasma Physics Laboratory. A voracious reader, she had always intended to write fiction, and, now retired, dedicates her whole life – when not spending time with her husband, family, and chinchilla – to exploring the concepts of integrity in relationships, and the psychological questions of why people do what they do and make the choices they make, including their life partners. This is me, folks. What will go out there in public for those who don’t know me, who haven’t earned the details by knowing me personally or reading this blog. Comments of all kind especially welcome – it’s so much easier to change things at this point. As always happens with these things, I updated, and then I visited recently, and didn’t like it. The content was fine, but I realized that, as a READER, I would want to know things in a different ORDER, because I wouldn’t care about the writer’s credentials and history (because I am not a famous person), but about whether she could WRITE. All I had to do to have it work much better for me was to rearrange so that items of interest to me as a READER came first; then, if someone wants to continue reading about the rest of my life and times, they can. 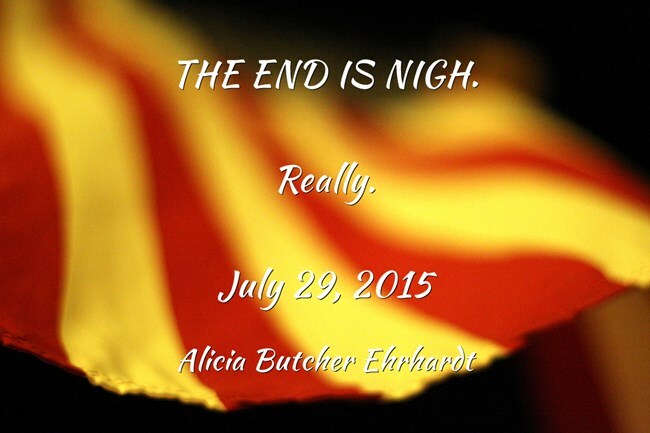 Alicia Butcher Ehrhardt is hard at work on the next novel in the Pride’s Children trilogy, working title NETHERWORLD, scheduled for publication later this year. Follow her on Amazon or at PridesChildren.com to be informed when her next story is available. As a writer, she’s published traditionally in short story. She’s been featured on Wattpad, where her story Too Late has received 66K reads, and where her debut novel Pride’s Children: PURGATORY was serialized and currently has over 20K reads. She has devoted the past twenty-some years to learning to write to the standards of the early classics she was steeped in, as she believes that messages in fiction must be surrounded by the utmost in quality entertainment, and that fiction is the most powerful tool we have for slipping through the barriers we put up around our hearts and our minds. A homeschooler by accident when illness derailed her working life’s plan, her career-long commitment to the sciences aided in the development of three tech-oriented children with a love of language. She is a former researcher and computational physicist at the Princeton Plasma Physics Laboratory and the Johns Hopkins U. Applied Physics Laboratory. She holds a BS in physics from Seattle U., and an MS and PhD in Nuclear Engineering from the U. Wisconsin-Madison. A minor problem with her right eye kept her from fulfilling her ambition as an astronaut. 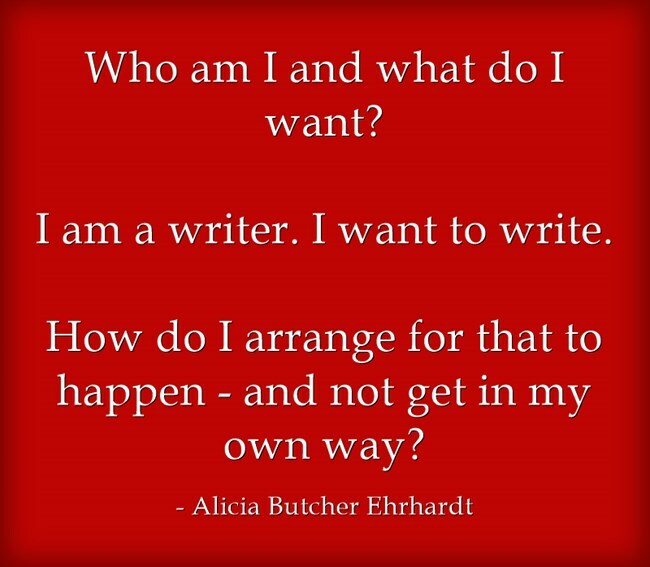 This entry was posted in Brain training, CFS - living and writing with ME/CFS/CFIDS, Epublishing, This writer's life, Writing - how to and tagged blog construction, brain fog, CFS, contract with reader, fears, ME/CFS, the creative process, writer behavior mod on June 22, 2016 by Alicia Butcher Ehrhardt. Whatever threw you for a loop this week. Today. Right now. When do you press RESET? To start a RESET process, the crisis must be over; or, the crisis must have gone from acute to chronic, and have, finally, a tiny bit of slack. RESET cannot be pressed in acute mid-crisis; there you have to rely on whatever coping mechanisms get you through crises. It doesn’t have to be much of a break in the crisis mode, and your basic reset process has to be simple enough to take hold quickly so that you can take advantage of the tiny lull to get back to solid ground. The instinct to USE that space to RESET is the key to getting control of whatever I need to control. There have been six doctor appointments, five of them mine. There was a crisis in the handling of my father’s estate, a place where making the time and effort would keep the process of claiming a life insurance policy from having its file closed. There is the continuing saga of launching the last child, functional enough to take charge of her own life, and with a clear understanding of the necessary pieces; seemingly on track to be resolved, it has taken a hit. Writing wasn’t happening at all because my good time had to be used for the crises, and I hate being at that point, because writing seems to be the only thing which keeps me sane as an individual, and not the member of some societal group which has a larger claim on my time. I got to where I was going in tinier and tinier loops involving tiny bad decisions which were actually making everything worse because I forgot the simple principle of going back to the bunker, going back to Kindergarten (as animal trainers call it), finding the space to get reoriented and reset. There is a pattern, a very clear pattern now that I have not been able to interrupt yet: the day AFTER I overdo it (which is extremely easy if you have CFS and brain fog and exhaustion), the first session of the day will be total crap. I can’t get around it – it ALWAYS happens. I tell myself it is coming. I tell myself I should prepare for it. I tell myself I should take First Nap SOONER than the 2:20 which is my session length – and yet I always end up taking far longer than 2:20 before I can force myself into stopping all those tiny distractions, and getting myself into bed for the mental dialysis that is the POINT of my naps. And I ALWAYS get to that First Nap in an agitated mental state that goes around and around in circles without solving anything. What do you do in the state where you can’t hit reset? So, back to the RESET button: because it isn’t going to fix itself until I take charge, and I’m incapable of taking charge in that state. Catch-22. The RESET button/process is whatever works for you to break the cycle and get back to basics. For a computer, it is RESTART. The computer is stuck, cycling, or not working well. So STOP. Reload the software/dump the buffers/clear the caches. For each process that was active BEFORE the RESTART, figure out whether it should be started up again – this is critical. For me, it means to STOP the mental cycling that is driving me crazy so I can look at what is important and what isn’t, and pick up threads only to the most critical problems. And the way I have which works for me is the slow counted yoga breathing I have taught myself to do, and which is attached to the most BASIC PRINCIPLE: everything in the world can wait for THREE calm breaths. At the end of those three breaths, there is a tiny decision: am I ready to proceed with figuring out what to do? The answer ‘NO’ simply means I need three more breaths, and the Universe can wait that long. Eventually, the answer is ‘YES,’ because I’ve given my brain the space to stop cycling and RESET. It never takes more than 30-40 slow counted breaths: slow in and fill the lungs completely; relax and hold while counting eight heartbeats; let the air out as slowly as possible. The EIGHT HEARTBEATS are what works for me. When I finally start the process of breathing, the heart is racing, and the eight counts are too fast. My brain is totally fogged. But the very counting of the hold phase, my own heart’s eight beats, slows it down. I often have to remind myself of the BASIC PRINCIPLE during this period – after all, I’m in a loop, and a mess, and a crisis, and frantic, and usually there are all kinds of things hammering at my consciousness. But I also know, from years of practice, that in addition to the heart slowing, a second feature is going on at the same time: the cleaning out of the debris of thinking from my mind. It can’t happen while I’m allowing more input of any kind. Is RESET possible, and is it reliable? The combination – slowing heartbeat + brain dialysis – ALWAYS works. The more I do it, the more it works. The first three breaths are hard. But I’m also out of any other options when I get to this point, and I know it. I don’t WANT to nap, to block out the world. I want to fix the problems and WORK my way back to sanity. Too bad. I don’t care what I want. I know what I have to do: I have to close down the computer and block the internet and turn off the phone ringer, and I have to take three slow counted breaths while the Universe of Hurt waits for me impatiently, often requiring one last pass through the circling garbage in my mind before I can start breathing. And as many more sets of three breaths as it takes. It is a process which takes time, usually that 35-minute period between lying down, putting in the earplugs if necessary, and putting the eye mask on to block the light. Rarely, I do it in less time – because that’s all I have. Occasionally, it takes a second 35-minute period. But it always starts to work as soon as I start that preemptive rest period, start the first in-breath, hold the first eight counts. What happens AFTER you click RESET? The difference, which I just went though, is amazing. Instead of all those clamoring thoughts climbing right back into the saddle and demanding attention, I am at a calm place that can ask them: okay, which of you has to go first? And the answer is often: none. Because what I need is to stop, put them all on paper, start the meta process of thinking about thinking, and ONLY then picking up one to think about. A blank sheet of scratch paper serves for a quick listing of the screaming meemies, and the writing starts the thinking of what options are available on each problem, and the listing gets quietly into doing the more obvious logical steps, and we’re off. Back in a sane land. Back to where things can wait their turn, and wait until there is energy to actually do them, and in some kind of clarity of priorities and timelines. I can handle them again. That’s my RESET button. What’s yours? This entry was posted in Brain training, CFS - living and writing with ME/CFS/CFIDS, This writer's life and tagged brain fog, CFS, disaster, Hard choices, ME/CFS, self-improvement, writer behavior mod on June 4, 2016 by Alicia Butcher Ehrhardt. A person who is becoming an online friend has asked me to do the impossible: she sent me a sample of her unfinished work, and asked for me to comment on it. Worse than that, she has said nice things about my own published work. She has no idea what she’s done. I have been agonizing for two days over this simple request. Why? Because there is no way to fulfill it OR turn it down. If I didn’t value her friendship, I would merely have said, “No. Sorry. I don’t read other writer’s unpublished work unless we are in a writer’s group.” And let it go at that. With the bunch of links I have gathered (yes, I’m trying to pawn this off on the professionals), and a separate list for those which use bad language. I have CFS and considerable brain fog: every minute when I’m coherent is fought for with blood. I am no one. I have published (self-published) one novel. I have been writing for twenty years, and just last fall got to the point where I had something publishable; it is impossible to condense that experience. I have NO editing experience beyond working on my own novels. I don’t want to. It will take/has taken me out of my safe mental writing place already. If you really, really need my commentary, my going rate is currently $1200.00 per hour (see 1., above), and we will still have to negotiate about whether I will work for you. Having to turn down a friend has already cost me those two days of agonizing over how to do this. Join a professional association and request a mentor. Put your work in public – which is automatically asking for feedback. I did this: I posted Pride’s Children, a new polished scene every Tuesday for two years. Join Wattpad and post your work (they also have groups where you can specifically request feedback). To be absolutely clear, I have not even read the rest of the email which incited this rant: as soon as I figured out what was being requested, I stopped reading the email. I did not read a word of the work sent to me. And if you think I’m making a huge deal over a tiny request, then remember I take this step with the full expectation that I will lose this friendship which I value AND I will be called nasty names by others who may read this post. Because… go read the links. What say you: Am I being paranoid? 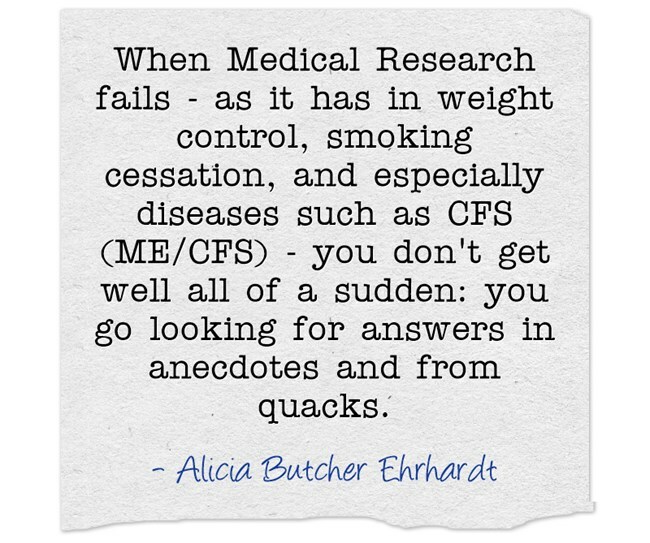 This entry was posted in CFS - living and writing with ME/CFS/CFIDS, Reading and reviewing, This writer's life and tagged brain fog, CFS, Hard choices, ME/CFS, writer behavior mod on March 12, 2016 by Alicia Butcher Ehrhardt. We went to a concert tonight, Princeton Folk Music Society. And one of the long-time members, a wonderful woman who was active in the folk music scene when I was still in diapers, brought over a copy of Pride’s Children: PURGATORY – and asked me to autograph it. It was a curious sensation, being treated seriously by someone I love and respect, and have known a long time. She went to the trouble of ordering the print version, and of bringing it to the concert where she expected to see me. But then she started asking questions – about the biblical quotations, real questions about how I chose them and where they came from. I have epigraphs and chapter titles which are quotations from the Old and New Testament. I explained that several came from the Book of Job in the Old Testament of the Bible (she’s Jewish). Of course we have different versions, since I obtained permission to use the words of the King James Version, and her scriptures would not have a New Testament. I chose the quotations I did because they resonated for me, knowing that my readers might be from very different backgrounds: the words can be taken at face value, but they always have a deeper meaning, and one that may take reading further into the chapter to understand. But she told me she had been going online to find out where the quotations came from – and I never thought about how some educated people like her might be interested in quotations enough to check them out. The epigraphs as a whole tell part of the story: some are commentary on the worldview represented by the main character, some are a little bit of extra backstory (such as when I quote books Kary has written). In addition, there are two ‘group characters’ represented by the media quotes I created in the spirit of what I’ve seen online – those that are supportive of a particular artist and those that tend to pick a few entertainers and find nothing but critical comments to make about them. The source attributions for these are as imaginary as the characters they refer to – but the models are ‘torn from the headlines’ of print media and TV news shows. My friend won’t find these online. A warm fuzzy place in my heart made me happy. I am now a ‘published author’ and my book is available in the marketplace of books. It’s not that it hasn’t been true since last Oct. 28, but that these little steps on the way to FEELING like a real author happen when you least expect them. I check out the Amazon Reports – and see that SOMEONE is reading Pride’s Children, because the graph of KENP (pages read) is non-zero. Amazon reports how many pages people read on Kindle Unlimited, in fairly real time, updated when people get near their computer – and you can SEE the numbers grow, almost see the pages turning. And I don’t know who the someone is. It could be a complete stranger. It could be someone I reached via a comment, or an ad, or a personal recommendation. All weird. Good weird. I’m too new at this to get jaded for a LONG time. Do you find yourself taken aback when someone treats you seriously in connection with your writing? This entry was posted in Epublishing, Reading and reviewing and tagged contract with reader, Pride's Children, the creative process, writer behavior mod on January 16, 2016 by Alicia Butcher Ehrhardt. Are you* having a CFS relapse? Before you can deal with a CFS relapse, you have to become aware you are IN one. You would think that would be obvious – staring at the wall, swollen glands, more exhaustion than usual, insomnia worse than usual, odd reactions to normal foods, a general feeling of being depressed and not being able to kick myself out of it – these are some of the symptoms. Unfortunately, I have all those symptoms in greater or lesser degree most of the time, so I tend to try to ignore them, and soldier on. I have writing to do, and it is finishing Pride’s Children, Book 1, and I don’t let myself diverted too much by things I know I can’t do much about. This entry was posted in CFS - living and writing with ME/CFS/CFIDS, Gen. Musings, This writer's life and tagged B1, brain fog, CFIDS, CFS, Hard choices, ME/CFS, writer behavior mod on November 13, 2014 by Alicia Butcher Ehrhardt. Accumulated from my notes – little things I wish I remembered all the time. Some help with brain fog – others just help. Real life is very limited – go into the world inside your mind and don’t come out. No limitations there. Net surfing rarely gives you anything, but when it does, oh boy! Prepare to be blown away. Wait until your brain kicks on. If it does, race to container the deluge. Catch your typing mistakes as you make them, and put the fear of God into them. They are less likely to do it again. This entry was posted in Brain training, CFS - living and writing with ME/CFS/CFIDS, Gen. Musings, This writer's life, Writing - how to and tagged brain fog, CFS, contract with reader, fears, ME/CFS, the creative process, writer behavior mod on June 5, 2014 by Alicia Butcher Ehrhardt. The title of this post is a truism: you can’t write without your brain working in creative mode. What do you do when your brain won’t turn on? For me, ‘creative mode’ requires an alignment of planets. There is a mental component to it – fear, or not wanting to write today, or any one of a million distractions or responsibilities – but the main component is physical: I have CFS, my brain doesn’t work very well a large part of the time (we call it ‘brain fog’), I can’t think analytically, and I can’t make decisions. I have blogged about these little problems in the past. I’ve had them – and their cousins (the ‘dog collar’ of swollen lymph nodes, mild fevers, a fair amount of a weird pain, and a long list you don’t even want to hear about) for 24 years. This entry was posted in Brain training, CFS - living and writing with ME/CFS/CFIDS, This writer's life and tagged B1, brain fog, CFIDS, CFS, false hope, Hard choices, Life, ME/CFS, the creative process, writer behavior mod on June 5, 2014 by Alicia Butcher Ehrhardt. I try to see patterns in my life, especially when I do inexplicable things. Things I KNOW will interfere with writing. I know I need to get to bed by a regular hour. Then I will wake up early enough so that I KNOW there really isn’t much out there on the web of new content I MUST keep up with, and I’m in reasonably good mental shape: I use Freedom to block the web, and then get to work writing, using the early muddle-headedness in writing about writing, or in writing about why I can’t seem to get started on the writing today, and we’re off… and writing, in my safe little internet-blocked writing world. And the system works its way reasonably quickly to actually working on the work-in-progress, and having something to say, and figuring out where to go next. Working the ‘process’ steps. But late nights work out badly the next day. This entry was posted in Brain training, CFS - living and writing with ME/CFS/CFIDS, This writer's life and tagged brain fog, CFIDS, CFS, ME/CFS, Pride's Children, self-improvement, writer behavior mod on May 19, 2014 by Alicia Butcher Ehrhardt. Yesterday someone left a trace on my blog: he or she read ALL of Pride’s Children posted to date, and a huge number of my other posts. I am on top of the world. Squee! This entry was posted in CFS - living and writing with ME/CFS/CFIDS, Free fiction - mine, Reading and reviewing, This writer's life and tagged blog construction, contract with reader, free fiction, free serialized novel, Pride's Children, reinforcers, serialized novel, writer behavior mod on April 23, 2014 by Alicia Butcher Ehrhardt.